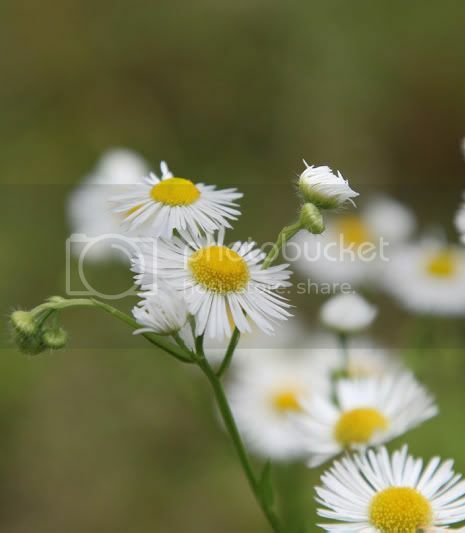 Fleabane: I'm happy with the depth of field, and I like the graceful simplicity. I don't know that I framed the shot well and I'm not sure how to crop it better if indeed it could be improved with cropping. Jewel of the Garden: I'm very happy with this one, a rare istance when I felt confident not centering the focal subject. But the blurry spots are a distraction. They were outside my control, being plants in the foregound I couldn't get beyond, but still they are a shame. Bumblebee I: The composition of the photo does nothing for me, but I love that the full detail shows on the bee, even his hind leg covered in a gob of pollen. 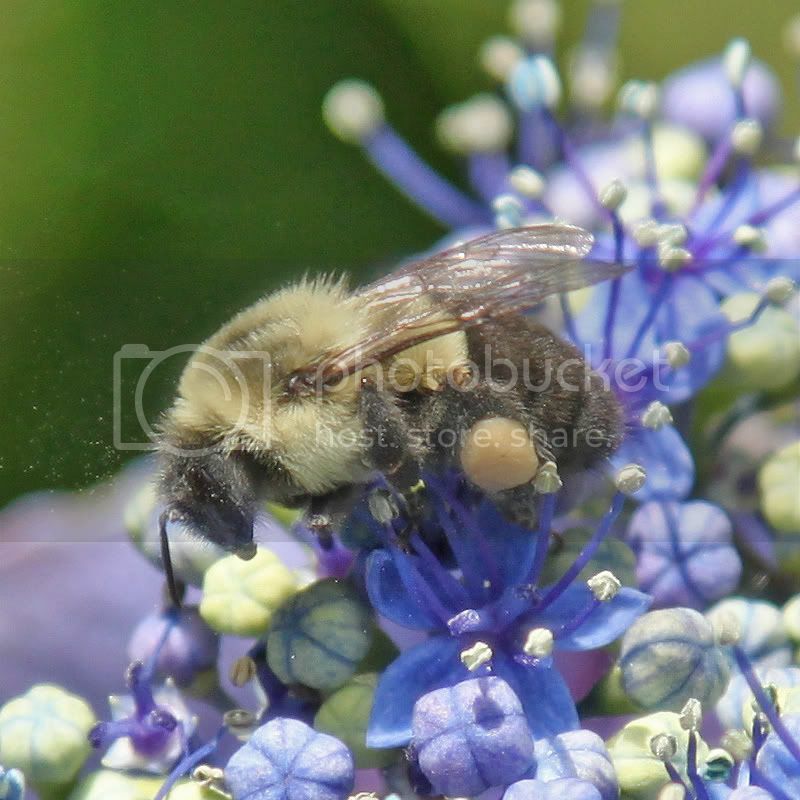 Bumblebee II: The composition of this one does make me happy along with the vibrant color. Fireworks: Not a spectacular shot of fireworks, but the best of what I managed to capture given a bad location (in a parking lot with a light right next to the fireworks), unavoidable smoke, and a complete lack of preparation. While I was smart enough to use a tripod, I forgot to read up on setting a longer exposure to get that smooth motion look instead of a frozen instant. Given that, this type of bursting firework produced the best pictures I got that night. Incredible shots Cheryl! Absolutely stunning! I wonder about the jewel, though. Who's garden is it in? Those critters make some really shocking noises sometimes. Thanks, Sandi. 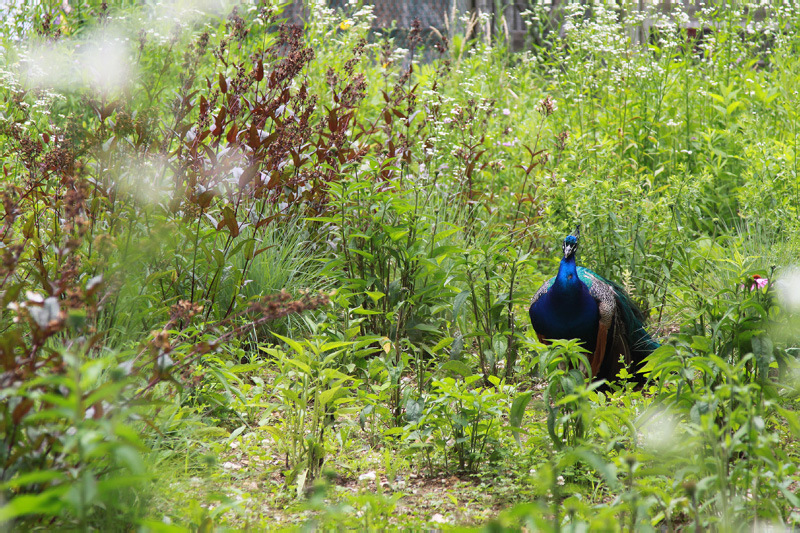 The peacock is at the zoo, he wanders around freely, though usually in the farmyard section, which this wildflower garden borders. In themselves great shots, Cheryl although it clearly shows you don't like cropping and non-oblong pictures indeed while some would be better when cropped that way. The first shot I don't like much, it's got a weird depth of field and I don't like the cropping, sorry. Maybe a closeup/crop of the centered group might be something. The peacock is nice but surrounded by far too much "clutter" which is too divers to work putting the emphasis on the animal. You are right about the spots. I understand you can't do anything about them and photoshopping them away would be a major task. 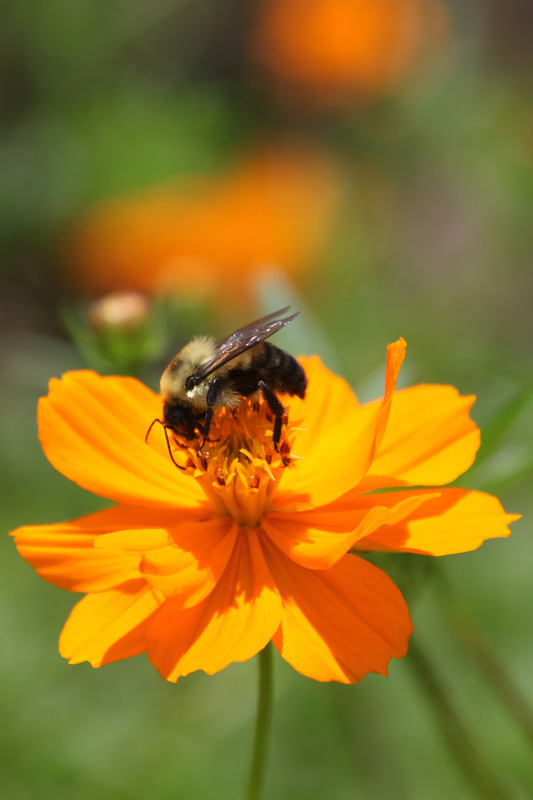 The first bee shot is a super photo! But the first thing I thought was: where is the colour. Looking at the plant this can't be your fault but with a fantastic shot like this it's a pity you had to catch a drab coloured bee! Definitely more colour in the next great bee shot, you;re so good at these! I just can't decide over the cropping, whteher your choice is right or more square would be better. I think, after much deliberation, that would have cropped bottom and top and only leave one orange blob at the top. Great photo's of which I like bumblebee II best although I came very, very close. 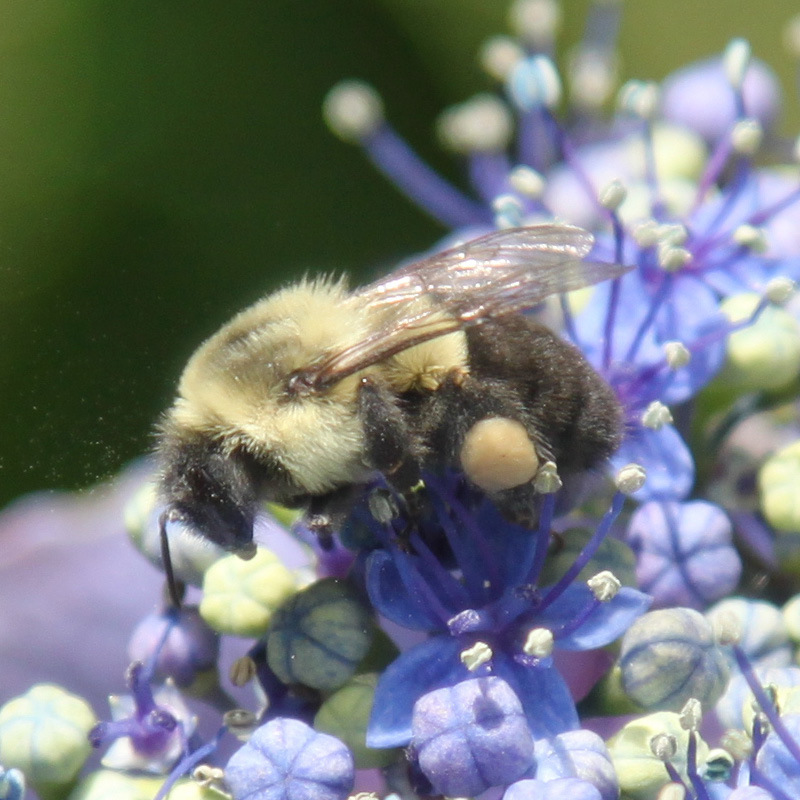 Speaking of awesome bee shots, check out what my sis-in-law has managed recently with a macro lens. Fantastic photographs! The fly is great, too. Cheryl....these are wonderful...as usual. But the one with the bee on the flower is absolutely beautiful. Your sister-in-law's bee photos are incredible lord you can see the pollen on it's bottom...but...IMO, not near as lovely as the one you took...but then again I'm a real fan of your amazing photo-work. I really like your fireworks picture. 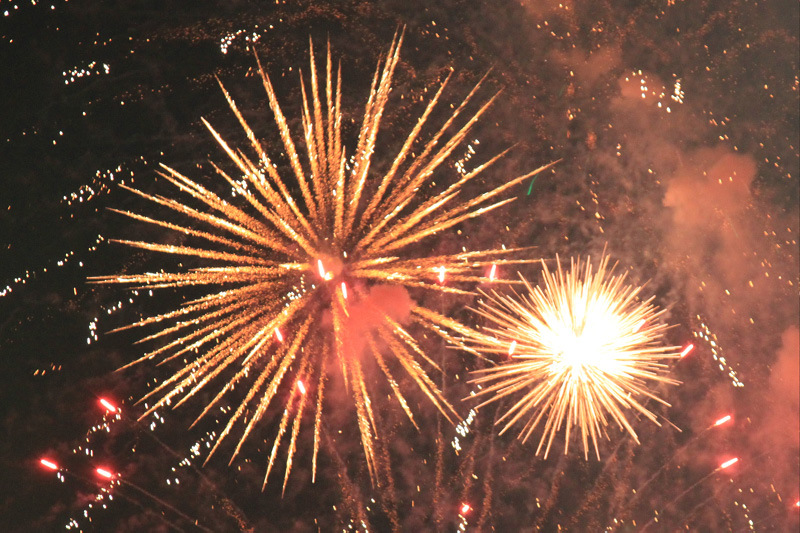 Who says that all firework shots have to be blurred long exposures? Sometimes it's worth breaking the rules and creating something unusual and orignal. What really impresses me is that you managed to arrange for the shutter to be open for the "frozen instant" just at the point the fireworks exploded. When you continually take shots, you're bound to get a few that have the timing right. I think you're right - the problem with the fleabane is the cropping. There is simply too much going on in the shot. I learned cropping as a newspaper designer; the rule was brutal - if it doesn't contribute, lose it. I tried various combinations before ending up with one I liked. 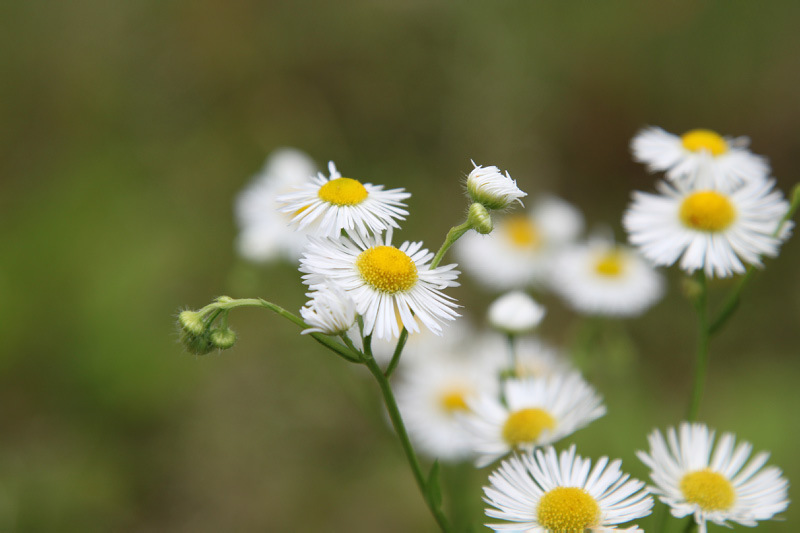 Here, you have three in-focus blooms giving a strong diagonal. Your crop would probably be different - there's the creativity. BTW - that lens gives a beautifully creamy bokeh (background blur)! As for the peacock - again, I think there's too much going on. The vegetation is chaotic and distracts from the bird, rather than providing a context. My instinct would be a tight top-to-bottom vertical crop with the bird set slightly to the right. Having the bird head-on does not help. But then, you've got to work with what you've got . . .
Bumblebee 2 is just great. I'm jealous.